Holiday home for rent with direct access to the beach of Los Bateles in Conil de la Frontera. It has a unique and exclusive location for beach lovers, set in a privileged enclave right on the beach, you can forget about day to day life and stress, and completely disconnect with direct access to Los Bateles beach. Maximum capacity for five people. The house consists of two bedrooms, one with a double bed and the other with three singles, lounge, equipped kitchen, bathroom and covered porch with direct access to the beach. Pets are not admitted in this property and parties are not permitted. 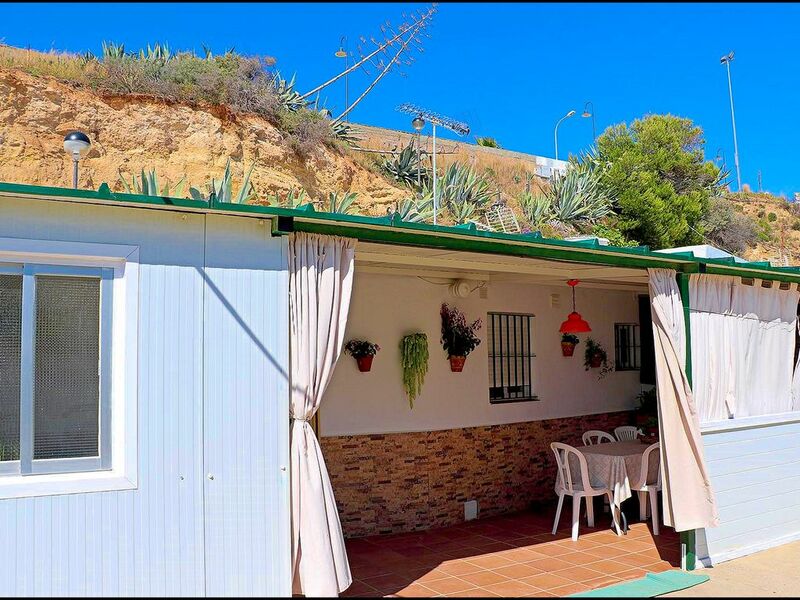 There are only two ways to get to this house, going down the cliff steps opposite Atalaya Park, or along the beach from the end of Conil´s beach promenade; you can only reach the house on foot, part of the house´s charm. Close to beach bars where you can eat and drink with no need to take the car.